Don't we all, but remember that even though we won in Melbourne last year, it went pear-shaped later in the season, it's also not really a representative circuit on which to base the true pecking order. As always, we hope for the best and pray that we do end up smiling, at least! Circuit dependent, but from 3 to 6 tenth on average. that sounds good, more than I thought. Amd its not just about peak performance. Τhe most important thing is the drivebility . Niki is like the slow kid in elementary school that believes WWE wrestling is all real. Poor old Niki! Now they are saying Loria ????!!!!! apparently it translates into 'laurel wreath'. Maybe Seb is telling us he has a title winning car. Sebastian Vettel: Not Gloria, but LORIA. Sebastian Vettel: That can still come! Had enough of the British press. All the headlines are about the superiority of the merc and their arrogant British driver. The radiators are vertical and no longer "V"
Vertical radiators no v? Is the radiator area overall smaller but being vertical lower to the floor? If so is that because its closer to the centre of the car this year as new sidepods seem much thinner than last year meaning the undercut at where sidepod meets the floor is the same? 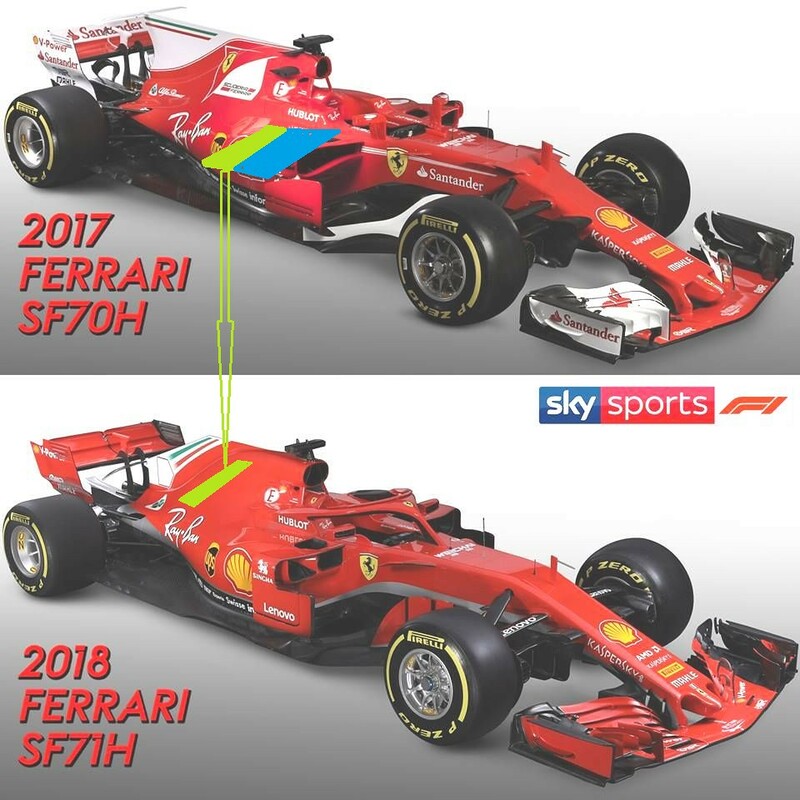 It seems we gained some "fat" where Scuderia Ferrari logo was in SF70H car. It is probably duo to bigger variable intake valves which would explain HP gain and better engine performance. On more visual note...Whose idea was to paint half of shark fin in red, and on top of that not make it go with the flow of engine cover but actually bulge outside, making it look more rounded? Puzzling visually, just look how Haas "flows" nice in comparison. British press must have forgotten its mercedes amg which is german based in brackley but still german owned and operated its not morris minor. In fact, a Chinese car manufacturer had recently taken a 10% stake in the German car maker to become the largest single shareholder. “They can decide with their power modes how far ahead they are. But this time they apparently got it wrong and are too far ahead. “I said to Ferrari: Mercedes is five tenths ahead and they said no. But everyone has been asleep. “With that engine, no one can beat Mercedes. They’re in a different world. It looks like Helmut Marco is right. However, not losing hope yet, next race is Bahrain, a track with completely different characteristics. No Helmut is delusional as usually, i dont believe him a word. He also said that they were the fastest car this year, and Ferrari is clearly behind them. Well he was wrong as always. Vettel said the real gap is about 0.3-0.4s, which we can gain with some new updates. I think in the end all will be well, Bahrain should be good. Cmon please. Last edited by gvera; 26th March 2018 at 14:37. That would be a first? Normally it's major update time in Barcelona for the first time for most teams. 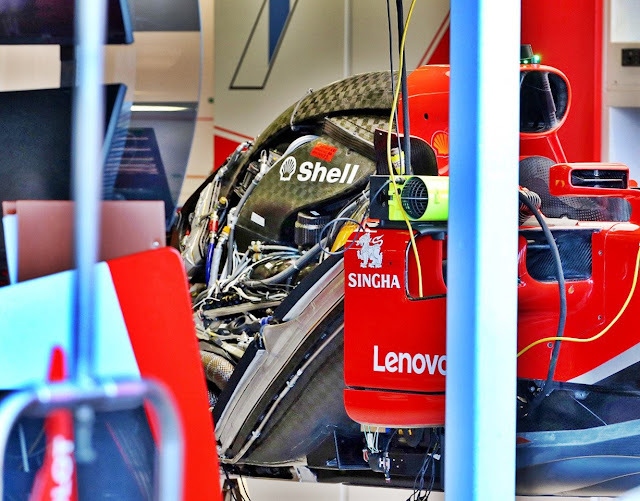 The Grand Prix of Bahrain will provide clearer answers, but in the meantime in Maranello the work continues. The SF71H should ensure greater development margins than the previous car and that's why starting the season with a win and a third place not only helps the standings, but also morale. All this, of course, with the awareness that in the back to back races Bahrain, China we might still see some of Ferrari struggle, but after Melbourne also there is a lot of certainty of having a technical package in any case ready for arrival. All is possible of course, if they bring it soon and it works. Do you have a link, thank you? Edit: I already found the link it is on the same page like I posted about 10 minutes ago. Sebastian's words are indicative of the situation and Maranello's team. In China the first major development package on the SF71H will make its debut. Meanwhile the aerodynamic will have to be solved, we are still lacking in balance compromise. Vettel with Ultrasoft has struggled to keep up with the pace of Hamilton and also Raikkonen: with the softer compound the Ferrari lacked insertion in the front, showing an annoying understeer that did not allow the German a good drive into the corner, while the traction on the way out seemed excellent. And so the front tires tended to overheat due to frequent low-speed sliding: the instability of the bottom in the rear has imposed the adoption of a front wing more discharged, as we already mentioned Saturday in the analysis after qualifying, in the attempt to find the best possible balance. 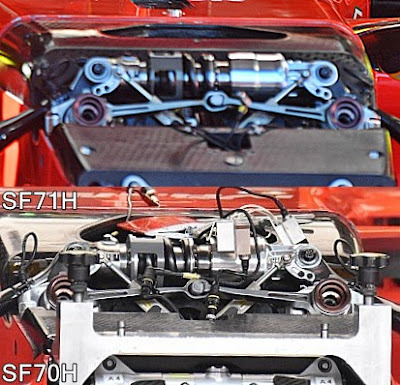 Because the potential of this year's Ferrari is unquestionably superior to the SF70H, but all the pieces of the puzzle have not yet gone to their place. There are two more weeks to figure out what is wrong and find the right solution. Like the article stated we maybe went to far with the setup this time (and didnt had a lot of time because of the lack of FP3 running), and maybe the car will be much faster in Bahrain, who knows? I think if you manage to totally nail the setup you can gain more than 0,5s per lap. Maybe we had the same issues that the Mercedes (Diva problems) had last year in some of the tracks, like Sochi, Budapest, when they were struggling with not getting the right setup and also with the tyres. I am still optimistic. Last edited by Vettel165; 26th March 2018 at 17:59.